A frequent guest lecturer speaking about the Titanic, Rudolph was most impressed by the “magnificence” of the ship as seen in the exhibits, as well as by the sheer size of the propellers and a portion of the ship’s hull also on display. 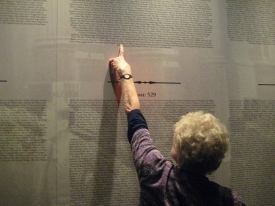 A poignant moment came when she found her mother’s name on the exhibit’s list of 706 survivors; another 1,500 people perished. One of seven children, Rudolph was raised in Ashtabula, Ohio. 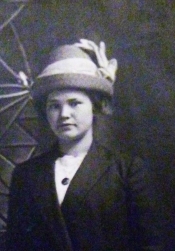 She recalls that on the anniversary of the Titanic in April, reporters often came to the house and spoke with her mother about her experience. Her brother once noted that every anniversary, their mother “would sit and be kind of solemn,” Rudolph recalled. 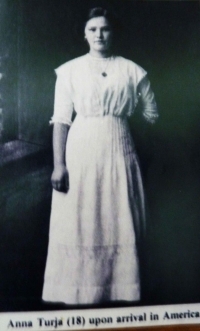 When Anna Sofia Turja was just shy of her 19th birthday, her half sister, who resided in America, sent her the promise of a job in a market--and a ticket for the Titanic. Not long after, Turja boarded the ship as a third class passenger. Her living space was located in steerage, where she shared a room with two other women and her roommate’s baby. On the fourt h night of their voyage, Turja and her roommates “felt a little jolt”. The brother of one of Turja’s roommates knocked on the door and informed them all to “put on life jackets,” Rudolph related. Confident that the ship was unsinkable, the women leisurely bundled up and headed out towards the deck to see what the ruckus was all about, even pausing to listen to a concert. Turja started to follow her roommate up to the top deck, which the women thought would be safest even though it was very cold. But a crewman urged them to go to a lower deck where the lifeboats were being loaded. Turja took that advice, but her roommate refused. “She never saw her roommate again,” Rudolph said. The woman did not survive. The deck was a roar of confusion; languages of the multi-cultural population of the ship only added to the chaos. The “band was playing,” Rudolph’s mother told her. Turja found a common language bond in a Finnish lady, who held onto her baby and wailed, “Do we all have to die by water?” Turja learned that the woman's son had drowned previously, and she clung to her children on the ship, desperately trying to save them. Devastatingly, the family did not survive. With a stroke of luck, Turja was lifted into a lifeboat by a crewman, most likely number 13 or 15, and remained on the overcrowded vessel for seven hours. Because it was a very dark night, the lifeboats tried anything to stay together, they “did whatever they could, lit dollar bills, hats, pieces of paper,” to provide a spark in the shadows. In a case of tragic irony, the Californian, a ship traveling nearby, failed to send help. Crewmembers mistakenly believed that rocket signals sent up by the Titanic were merely signs of a celebration, a common occurrence at the time. The Californian also turned its radio off at midnight and never heard the frantic calls for help. Eventually the Titanic survivors were rescued by the Carpathia, a passing ship that had been headed towards the Mediterranean. 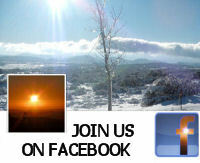 “The Lord was good. The ship was not full, so it had room to take on the Titanic survivors,” Rudolph said. Turja boarded by “climbing on a rope.” Many of the ship’s new passengers refused to take off the life jackets for fear something would happen to this ship, too. The Carpathia turned around to take the newfound passengers back to America. Turja arrived in New York with only the clothes on her back. Next she was shuffled from the hospital, where she was found healthy, then boarded a train heading towards Ohio. She was greeted by her half sister and her half sister’s husband, and shortly afterwards met his brother, Emil Lundi. This man ended up being the love of her life, and he proposed shortly after meeting her. Turja was honored throughout her life after surviving the immense tragedy. 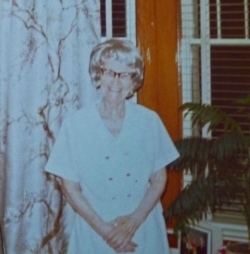 She was invited to attend the premier of “A Night to Remember,” the first Titanic movie in 1953. Rudolph recalled, “She had tears in her eyes.” Her mother asked, “If the photographers were so close why didn’t they help us?” While she was a worldly traveler, Turja didn’t quite understand the ways of Hollywood, and her son explained to her the power of the camera. 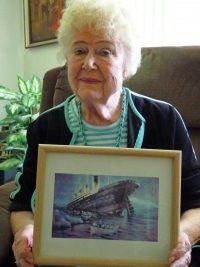 Turja died in 1982, but her story continues to be told, her daughter, Rudolph, has used her storytelling skills to speak at schools and community groups, retelling the dramatic story of her mother’s survival aboard the Titanic. Rudolph became a reporter and later worked for La Mesa Police Department, among other jobs. “I went out on all the female arrests. We did not have police outfits, so when people would see me walking away with the police, they probably though I was the one being arrested,” she said with a chuckle. Rudolph was invited to the premier of the second Titanic movie. She, too, has been interviewed frequently. At the premier, she attended a question and answer session with Don Lynch and a special effects expert. 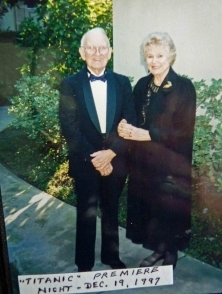 She and her husband, Lawrence Rudolph, a Lutheran pastor and institutional chaplain who worked in hospitals and jails, were picked up in a limo to attend a cocktail party, dinner at Jr. Seau’s restaurant and a party at Planet Hollywood. 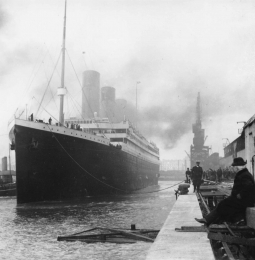 “There is a legacy of something good” that came out of the Titanic tragedy, Rudolph observed. Reforms were implemented to require ship’s radios be kept on 24 hours a day, 7 days a week. Ships must carry enough lifeboats for everyone. Rocket signals can only be shot at sea if a vessel is in distress. An ice patrol became mandatory in international waters and more southern routes were opened for ships in the Atlantic. In addition, lifeboat drills are now mandatory. Turja often wondered at the reasons behind a poor Finnish girl being saved from the tragedy of the Titanic. Yet all of her family was quick to note that Turja’s descendants include a family tree of people who have bettered the human condition. 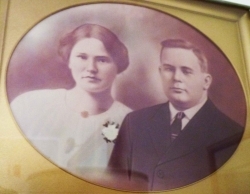 Her legacy consists of 7 children, 18 grandchildren, 39 great-grandchildren, 6 great-great-grandchildren--and each and every individual who her story has touched. 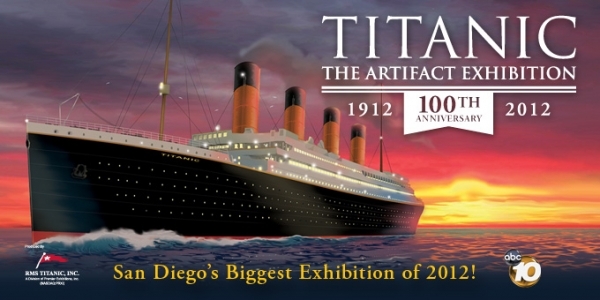 Titanic: The Artifacts Exhibition runs now through September 9 at the San Diego Natural History Museum in Balboa Park. Tickets cost $27 and include general admission to the Museum and 3D theater. Discounts are available to Museum members, students, seniors, military and groups of 10 or more. Purchase tickets from 10 a.m to 5 p.m. at the museum, online at www.sdnhm.org, or by calling 877-946-7797. 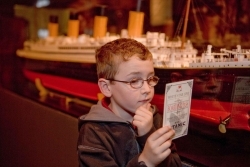 The exhibition takes visitors through Titanic’s epic journey, from construction to life on board, to her tragic sinking and the eventual discovery and recovery of more than 5,500 artifacts – 200 of which will be on display at theNAT. Visitors to the exhibition will receive a replica boarding pass granting them permission to “board” the White Star Line's R.M.S. Titanic. Galleries focus on the compelling human stories as told through the authentic artifacts, a giant ice wall and extensive room re-creations. 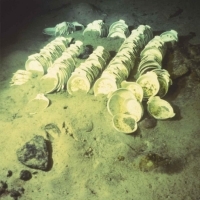 Artifacts range from passengers’ personal items to pieces of the Ship itself –offering haunting, emotional connections to lives abruptly ended or forever altered.